An ancient tradition was revived last weekend when about 45 horse riders arrived in an Austrian town for the Feast of St. Leonard, the patron saint of horses. 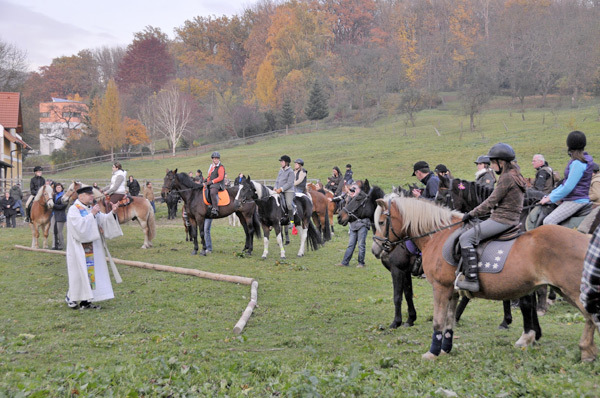 The riders arived in Dörnbach on November 6 to ask for God's blessings for their horses. 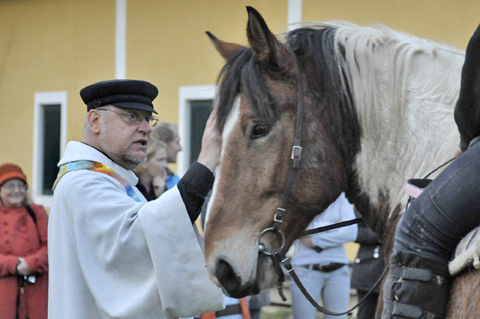 Father Franz Zeiger, who is known for his animal protection activities, blessed each horse and its rider individually. 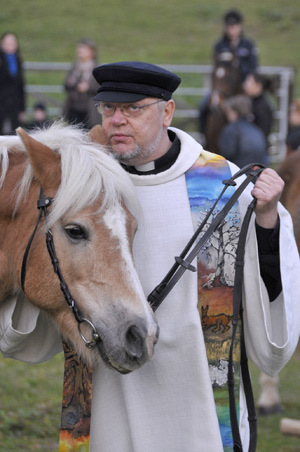 In his introductory speech, Father Franz pointed out the increasing significance of horses in areas of medical therapy, especially Hippotherapy and animal supported therapy for children and adolescents displaying behavioral problems. St. Leonard is the patron saint of farm animals, especially horses. Horse blessings on the feast of St. Leonard go back to the time when the horse was indispensable, especially in agriculture. An old saying of farmers goes, "After all of the hard work that has come your way, honor horses on St. Leonard's Day." For Linz and surroundings this old tradition was revived with the horse blessing in Dörnbach and was given a new character. The many visitors agreed, "We will be here again next year!" St Leonard is also the patron of political prisoners, imprisoned people, prisoners of war, captives, and women in labour. 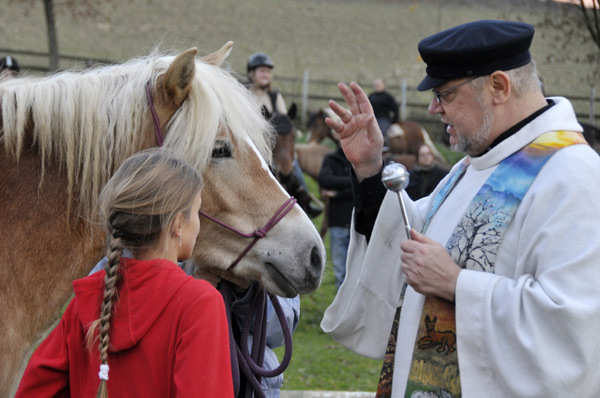 The parish of St. Peter in Linz also hosts the worldwide Animal Blessing on World Animal Day in October. This marks the commemoration of Saint Francis of Assisi, the patron saint of animals.